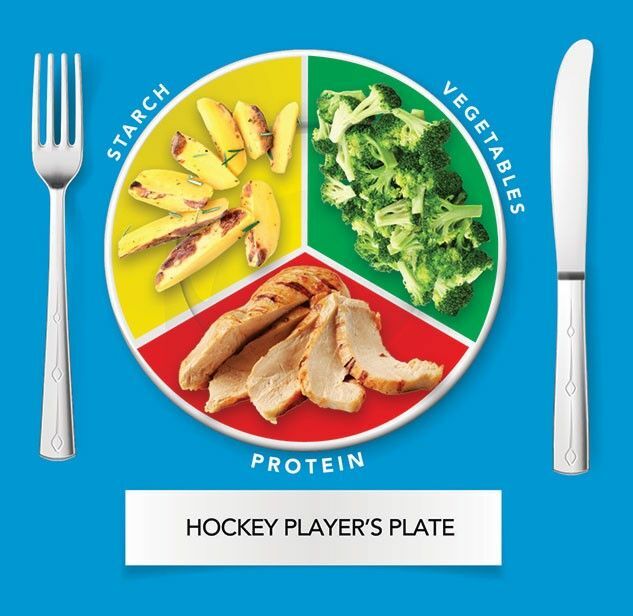 At restaurants, just like at home, you should be aiming to eat the right proportions of foods from the hockey players plate at each meal. By now you should know what pre-game meals work for you, especially how much food you need to eat and how long you need to digest the food. The playoffs is not the time to be experimenting with your digestive system. Keep this in mind when you eat out at restaurants. You should be looking to mimick the home cooked meals you eat that work for you during competition days. Here are some tips for eating out at restaurants. A grain (pancakes, bread, waffles) or starchy vegetable (potatoes). A lean protein (tofu, eggs, chicken, tuna, lean meat). A lightly seasoned vegetable (onions, spinach, peppers, mushrooms) or fresh fruit (oranges, apples, grapes, melons, berries). For a protein and energy top-up include some dairy or a dairy alternative in the form of milk or yogurt. Good dairy alternatives are soy milks as they contain an equivalent amount of protein. Cheese and peanut butter can be great protein sources but they are high in fat so they can take a while to digest. A grain (brown rice, pasta, couscous, bread, wrap) or starchy vegetable (potatoes, corn). A lightly seasoned vegetable (carrots, broccoli, spinach, peppers, cucumbers, mushrooms). Sauces are usually included in the dish, but if you ask for sauce on the side it’s okay to use it! Including a small amount of oil (1 to 2 tablespoons) is recommended at each meal. Juice or any sugary drink may or may not be needed to top up energy stores during training or competition days. Everyone will benefit from drinking water though! 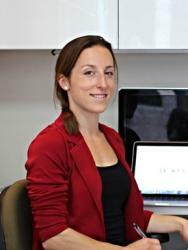 When you are looking at evaluating a restaurant menu, you want to use the same techniques that you do at home when you are making your home-cooked meals. You want to have the components that make up the hockey player’s plate. So, that’s high carb, high energy foods filling up roughly one third of your plate (think pasta, potatoes, rice, quinoa). You want to have a vegetable on your plate, of course to tolerance because some vegetables take longer to digest and are a little tougher than others. So experiment with what you tolerate well before hockey and after hockey. And then you want a protein filling up your plate as well and that can be meat, fish, could be vegetarian like tofu. That is going to give you the muscle recovery that you need post-game and to rebuild your muscles after a game. Egg Breakfast: You are going to get your typical egg breakfasts. And as you can see here, there are a lot of added on things like fried bacon, and different meats. You don’t need a ton of protein, just make sure you are getting protein. Eggs and cheese could be your protein. Bread could easily be your grain in an egg breakfast. Then, it would be great to have a side of fruit, it could also be a vegetable. This example has the fruit, the grain, and some protein in the cottage cheese and the egg. In this other example you have a vegetable underneath the egg, you have a bit of cheese, some fruit and extra bread. This is a more energetic plate. If you want more energy out of your breakfast, you are going to need more of the grains and starches section. You will see that plate underneath to give you an example of how to break it down. Fruit and yogurt bowl: Now the yogurt would be your protein source, but it is not a very big protein source, so you could have a little bit more protein and add an egg to that breakfast. Granola is in there for a grain, but it is also not a lot, just a sprinkling, so you could add some bread. And then you have your fruit there to complete the meal. Spinach and Cheese Crepe: In a crepe that is pretty healthy, a spinach and cheese crepe, you are going to have the cheese as the protein source here, but again, you will want to add a bit of protein to that. That little piece of cheese may not be enough, so try adding an egg for protein. The crepe is the grain. And if you have a spinach crepe, fantastic, you have vegetables mixed in. Smoothie: Finally, we can have a quick look at smoothies. They are not complete meals. Definitely don’t go for the ice cream smoothie because that is not a substitute for milk and yogurt as the protein. Often smoothies are fruit blends and they do not come with grains so make them complete meals by combining them with grain sources and protein. Breakfast: the Classic Oatmeal. This isn’t going to be a complete breakfast if you get the large sized, you get a nice whack of energy in the carbs, but you need some protein. So, I’d go for an egg, or some extra cheese maybe. Definitely not the egg sausage because that is just too high in fat. Chicken Salad Sandwich: I find the small regular would be a balanced recipe for an athlete. It’s going to be a nice pre-game meal, so the bread is the grains, there is a little bit of vegetable there and the chicken is the protein. The Chili is another good one except it is missing a little bit of energy at that meal, so combine it with some bread to get in the right amount of carbs. The vegetables are in the tomato sauce and the beef and beans become your protein. Just an excellent pre-game meal option. Pizza: In the pizza section, I have found a pizza that is a thin crust grain in the individual portion size, has tomato sauce, you can add vegetable and good amount of cheese to give you the right amount of protein in that meal. The starters: Across the board for most restaurants of this nature the starters tend to be really high in fat and high in sugar. They’ll encourage overeating. I would just stay away from them and order your main dishes, like a pasta or a pizza. Pasta dishes: Something like the lasagna in a half portion is actually exactly what you want in terms of the proportions for vegetables, proteins, grains and starches. The baked seven-cheese ravioli is another example. 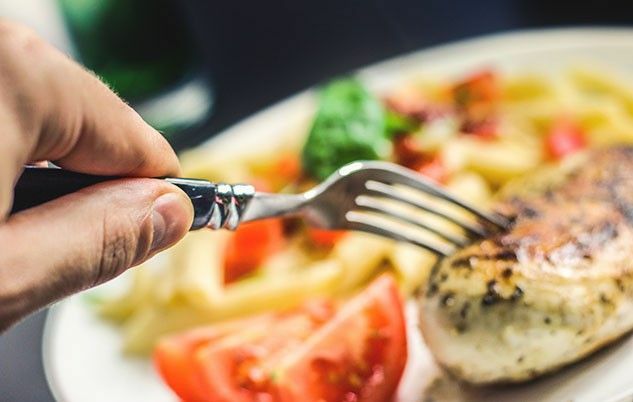 What’s great in restaurants like these is that you can always add on something like a chicken breast or a steamed vegetable on the side to make it a little more rounded as a meal. You can have a salad where you don’t order the dressing, or you order a light amount of the dressing on the side so that you can control the fat at that meal and get those extra vegetables that may be missing. Often restaurants have the nutrition information posted online. Boston Pizza even puts healthy tips like the one I just gave you and gives you all of the information about how much fat, calories and protein are in these meals.